You’d have to suffer from extreme delusion to think that former Empire star Jussie Smollett was appropriately served justice this week in Cook County Chicago after the prosecutors dropped all of his charges for reasons unknown. Rumor has it that former First Lady Michelle Obama’s chief of staff, Tina Tchen, personally put in a call to State Attorney Kim Foxx to try and finagle the charges to be dropped completely because Smollett is allegedly friends with the Obamas. But Chicago just dropped a bomb on Smollett. 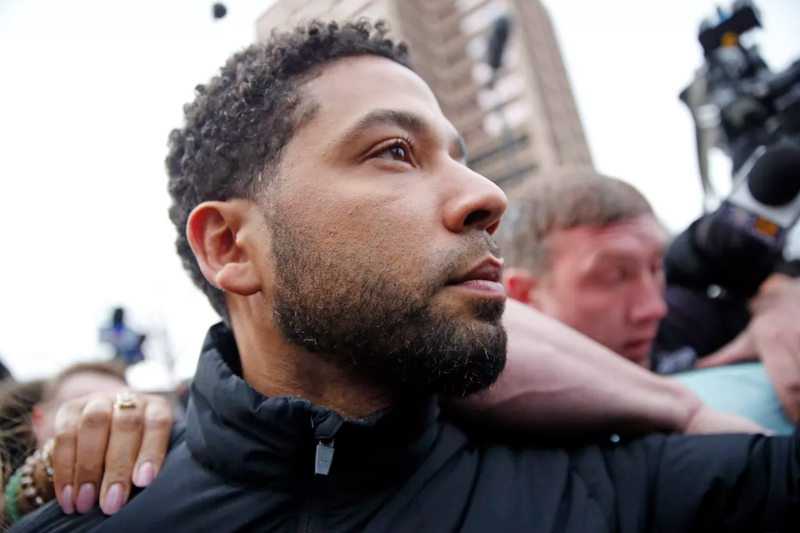 It appeared as though Smollett, if convicted, would’ve received a hefty prison sentence for lying to the police that two Make America Great Again supporters beat him on the streets of downtown Chicago. But that all turned out to be an alleged lie after Chicago police investigators discovered that he staged the attack by hiring two Nigerian brother, Ola and Abel Osundairo, who both worked on Empire to carry out the hoax. The police also discovered a check in the amount of $3,500 from Smollett to them. Smollett’s logic for doing this was likely for two reasons; that he wanted to paint Trump supporters in the worst light possible and the other being that he wanted a pay increase on the show he co-stars in – ultimately playing the sympathy card in both cases. However, Chicago police arrested and charged him as new information became available that he was allegedly making this whole story up. Fast forward to a little over a month later, the State’s Attorney’s office shockingly dropped all the charges as long as he forked over his $10,000 bail and did some community service. The prosecutors’ office claimed he was prematurely and unfairly accused in the “court of public opinion,” but the irony is that we’re only basing that off what we’ve been told by the Chicago police department. But not everyone in Chicago is pleased with this outcome because a city official claims that the city is seeking a $130,000 judgment for costs of the investigation. Mayor Rahm Emanuel blasted Foxx and Smollett as well in a public statement after the news broke that the charges would be dropped. No, not even close. He hasn’t paid nearly enough and for them to be willfully ignorant about how Smollett’s actions affected an entire nation is unbelievable. Smollett should be in prison for creating a nationwide polarizing tension. He tried to vilify Trump supporters and Hollywood elitists ate it up. They instantly attacked Trump and all of his supporters for being the cause. The lawyers and State Attorney’s office cried ‘court of public opinion” and yet that’s what happened to Trump and his supporters. That’s ironic too.